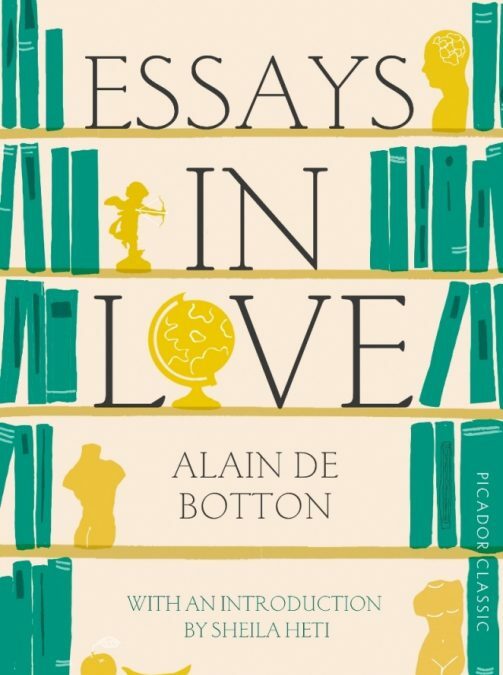 Alain de Botton can be a very witty and thought-provoking writer, especially the way he weaves philosophical thought into his books. Essays in Love (1993) was his first novel, written when he was just twenty-three, and it is hilarious from a mildly sadistic point of view as the self-obsessed, self-centred narrator gets his comeuppance. No wonder his girlfriend Chloe, a graphic designer in Soho, ditches him for another man. Everything – and I mean, everything – they do, say and think, he forensically analyses as if emotion and love can be weighed on a scale or could be subject to science and statistics. There are chapters on What Do You See In Her and The Fear Of Happiness (cathexis), but the most voyeuristic is the chapter on Chloe’s orgasms, Contractions. She buys a pair of shoes, currently in fashion, and loves them. But for him her judgement presents him with a crisis! Our narrator first met Chloe on the shuttle from Paris to London and, coming full circle, it is when they are returning again from Paris on a weekend that turned out not to be romantic that she tells him what’s going on. Let’s hope for Rachel’s sake he leaves the stopwatch in the lockerroom.